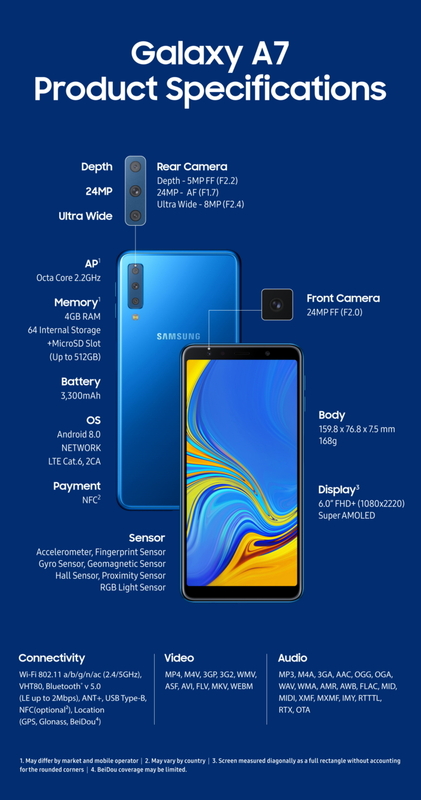 Samsung today announced the Galaxy A7 2018 with rear triple camera, sleek design and an infinity display. 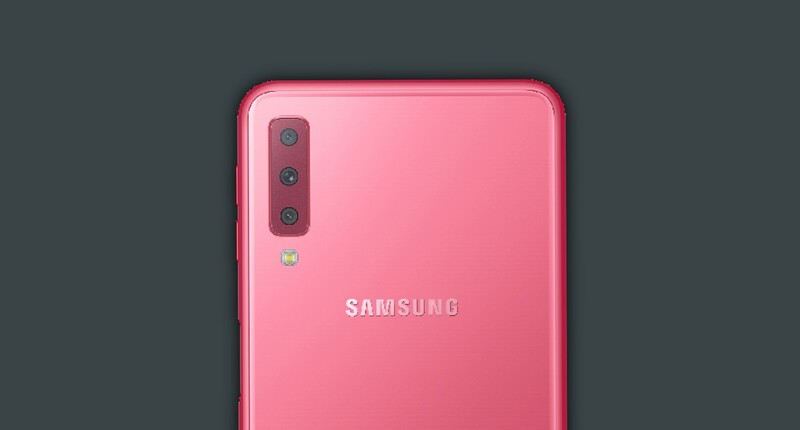 Galaxy A7 features a 6.0” FHD+ (1080×2220) Super AMOLED Display, Unknown Processor, It will be available in 3 variants, 4GB RAM, 64 Internal Storage + MicroSD Slot(Up to 512GB), 4GB RAM + 128 Internal Storage, and 6GB RAM, 128 Internal Storage. You get a 24MP AF (F1.7) + Ultra Wide: 8MP (F2.4), 120° + Depth: 5MP(F2.2) Triple Rear Cameras and a 24MP Selfie Snapper, 3300mAh Battery, Android 8.0 Oreo operating system, fingerprint reader, facial recognition, NFC technology, Bluetooth, Phew..